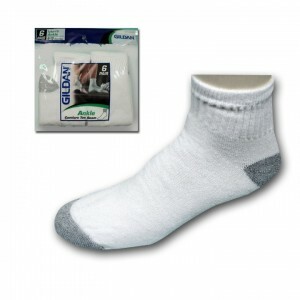 Home / Men / Mens Ankle Socks by Gildans, per doz. 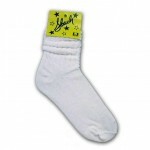 Mens Ankle Socks by Gildans, style comfort and value! A beautiful white sock with a grey heal and toe. Comfort and great looks, you can’t beat that. Category: Men, Men's Sport Socks. Tags: Ankle Socks, casual socks, Cotton, exceptional comfort, Nylon, White Socks, White socks with grey heel and toe..
Mens ankle socks by Gildans, be in front of the fashion line with these . Stylish and comfortable.